The first day of Fall is also is Falls Prevention Awareness Day! Although you may think that falling is minor, the fact is that falls can cause serious injuries and death, especially among the elderly. So, it’s important to know the facts about fall-related injuries and tips to prevent falling. More than one out of four people over the age of 65 will fall each year. 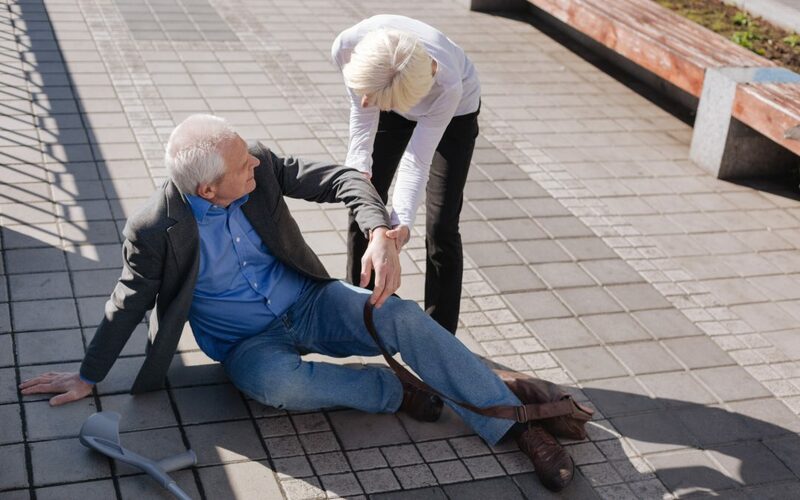 In fact, falls are the number one cause of injuries and death from injury for older Americans. However, only half of the people over 65 who fall actually tell their doctor. Falls account for 3 million emergency department visits, 800,000 hospitalizations, and 28,000 deaths every year. Although falling may seem like a natural part of aging, there are ways to prevent falls. Have fallen, worry about falling, or have trouble balancing. Experience any dizziness, drowsiness, or weakness from the medications you are taking. Take the “Stay Independent Assessment” to assess your risk for falling. Talk to your doctor if you score 4 points or more. Doing exercises to improve your balance and strengthen your legs helps to lower your risk of falling. If you have fallen recently, talk with your provider before starting an exercise routine. For most people, walking on a level well-paved surface is a good activity to start. Ask your doctor about incorporating exercises like Ti-Chi into your routine. Have your vision and feet checked once a year. Tell your doctor if you have a condition, such as glaucoma or cataracts, which limits your vision and increases your risk of falling. Declutter your home and remove items that you can easily trip over such as shoes, books, paper, etc. Make sure your rugs have non-slip padding or use double sided tape to keep your rugs from sliding. Place non-slip mats in your bathtub and on your bathroom floors. Have grab bars next to and inside of the tub and next to the toilet. Make sure that you have sturdy banisters along your staircases. One out of five falls do cause serious injuries such as broken bones or head injuries. If you experience a fall, please let your doctor know as soon as possible. Falling once doubles your risk for falling again. Please let your doctor know if you feel dizzy, unsteady, or have trouble keeping your balance. Tell someone that you have fallen and need help. Wait until help arrives. Try to keep as warm and comfortable as possible. For more information on falls prevention, please contact the following organizations.